Elvin Cordero Figueroa, a visiting student from the University of Puerto Rico at Humacao, is conducting research this summer with Nebraska chemists Alexander Sinitskii and Alexey Lipatov in the National Science Foundation-funded Materials Research Science and Engineering Center. Madeleine Uraih wasn’t sure what to expect from her first trip to Nebraska. Though the Houston native had heard positive things about the university, she was pretty sure Lincoln’s pace of life wouldn’t rival that of Baltimore, where she is an undergraduate at Johns Hopkins University. Since arriving on campus, though, she’s been pleasantly surprised by Lincoln’s emerging hustle and bustle. She’s here for the University of Nebraska-Lincoln’s Summer Research Program, the second largest in the Big Ten. It’s designed to increase educational access for undergraduate students underrepresented in graduate education. 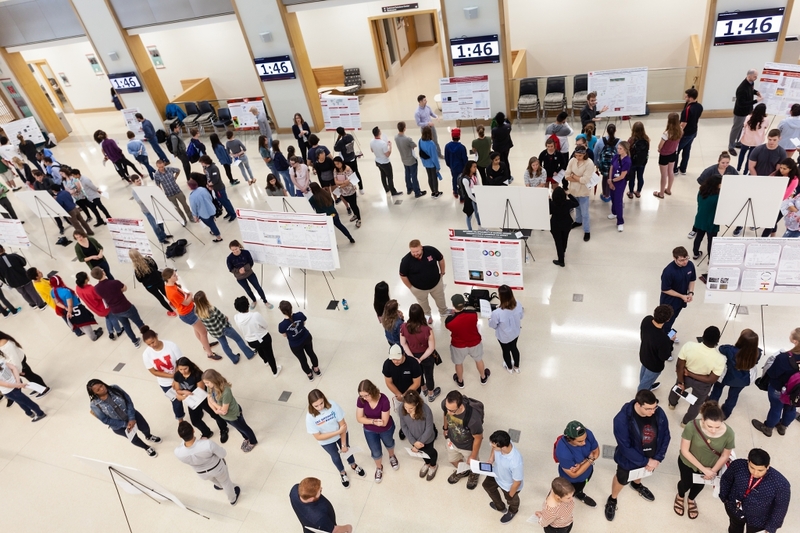 For 10 weeks, Uraih and 102 other students from across the U.S. and Puerto Rico are getting firsthand experience on federally funded research projects, engaging in professional development and meeting future colleagues. In addition to providing undergraduates an enriching experience, the program is a key vehicle for recruiting a diverse group of highly qualified out-of-state students to the university’s graduate programs. Uraih, for example, has already put Nebraska on her list of prospective graduate schools. The data reflect a similarly positive experience among other participants: The program has hosted 991 students since 2001 and receives more applications than all other Big Ten schools combined. There are multiple reasons for this success, Hanshaw said. Nebraska’s program is unique because it requires participating faculty to have fully funded programs that support undergraduate research. This level of faculty engagement and commitment enables the university to offer one of the best financial packages on the market. Only the University of Wisconsin-Madison, home to the Big Ten’s largest summer research program, shares this structure. Student life is another draw. Nebraska staff work year-round to coordinate logistics like travel, housing and social activities, and to plan professional development events like ethics training and GRE preparation. Faculty plan research opportunities that position students for successful careers. “Our researchers are truly committed to advancing the next generation of scientists in their field,” Hanshaw said. This commitment was evident immediately to Uraih, who’s part of a program funded by the National Science Foundation focused on using social network analysis to solve minority health disparities. When she arrived for training, she was surprised to see that the teacher was not a graduate student but program leader Kirk Dombrowski, a nationally renowned sociologist. For two weeks, Dombrowski led two-hour sessions twice a day to train students on data analysis. Elvin Cordero Figueroa, a physics student from the University of Puerto Rico at Humacao, said he’s been overwhelmed by the “Nebraska nice” on display – particularly after a rough year at his home campus, which lost significant amounts of research equipment and classroom infrastructure to Hurricane Maria. 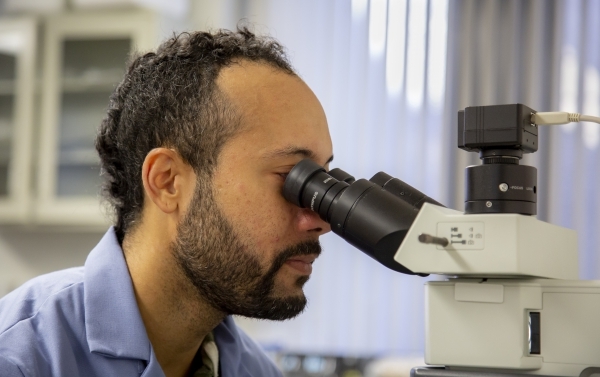 Cordero Figueroa is part of the Bridge Program, an outreach arm of the NSF-funded Materials Research Science and Engineering Center, which uses an interdisciplinary approach to develop new materials with novel properties. He’s working with Nebraska researchers Alexander Sinitskii and Alexey Lipatov to develop graphene-based nanostructures that would boost the capabilities of transistors, devices used in almost all electronics. Though he ended up in Lincoln almost by chance – he found the MRSEC program via an internet search and chose Nebraska because it was the first school to respond to his application – Cordero Figueroa said the university has quickly become one of his top picks for graduate school. Marissa Cardwell had a similar experience in 2016, after she found Nebraska’s summer program via a Google search for non-STEM Research Experiences for Undergraduates sites. Heeding her adviser’s tip to use her summer productively, Cardwell flew from Ithaca College in upstate New York to Nebraska, knowing only that the state was famous for corn. Graduate school wasn’t even on her radar — it was too long and expensive to be worthwhile, she thought. But after gaining experience in Dombrowski’s lab and attending presentations about grad school, she had a change of heart. Cardwell is now a master’s student in sociology at Nebraska, studying stress and health in African American college students. She’s also an effective ambassador, singing Nebraska’s praises to former colleagues and advisers at Ithaca. Her efforts are paying off: In the past year, she’s hosted three prospective graduate students from Ithaca and fielded email queries from others.